Can you believe how fast the year has gone? New Years Eve is only 5 weeks away which means that New Years Eve cruises kick off to take us into 2015. Most private New Years Eve cruises are booked however we do get last minute options become available so make sure you contact us if you can’t find what you are looking for on our New Years Eve cruises page. The other great thing is that you often get access to some pretty cool things. 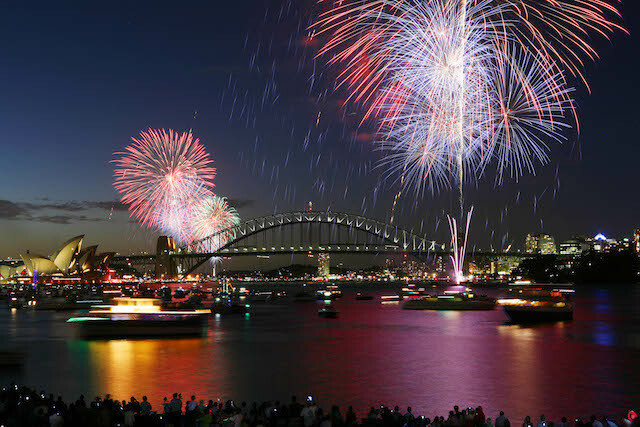 In particular a lot of the bigger ticketed New Years Eve cruises are a part of the harbour of lights parade which gives them exclusive permission to cruise inside the exclusion zone that is set up on Sydney Harbour. Whilst all of the other boats including the other New Years Eve cruises are watching the celebrations from the side, the ticketed New Years Eve Cruises in the Harbour of Lights Parade are the centrepiece of what is happening on the night. Check out the ticketed New Years Eve cruises page to see the different options available.